What animated character said “I’m not bad, I’m just drawn that way”? Which book proclaimed “It is better to be feared than loved, if you cannot be both”? What leader said “Tear down this wall”? These and many other quotes - 792 to be exact - are yours to uncover in Don’t Quote Me®. Categories include Pop Culture, Leaders, Movies, Sports, and Literature. Don’t know the quote... ask for a clue! Still don’t know... ask for multiple choice! 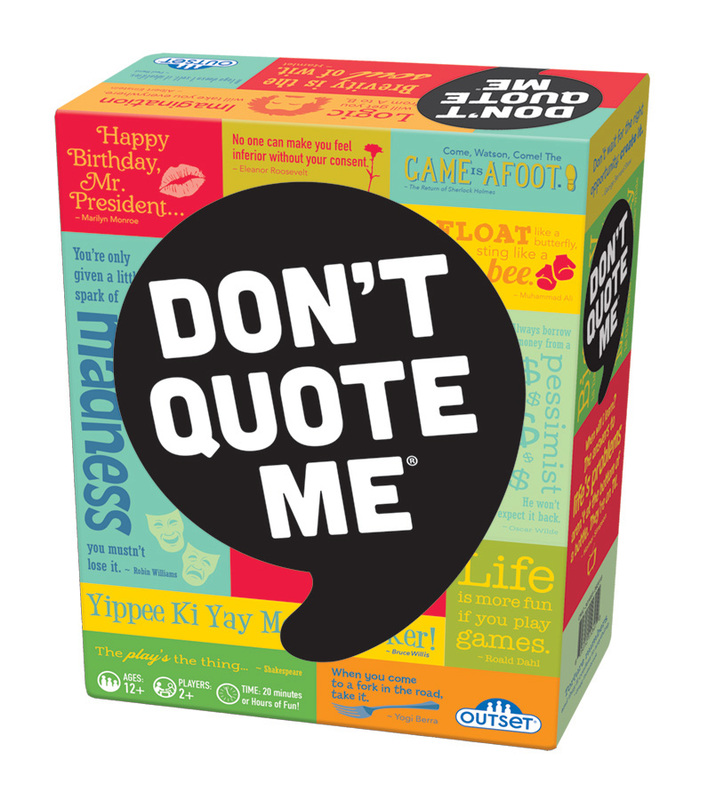 Fun and challenging, Don’t Quote Me® is great for those who appreciate the power words have to inspire, to irk, to startle, and to amuse.